MAC Washeteria – 2015 Summer Wash ‘n Dry Collection & Wet n Wild Happy Holidaze! Updated with Comparisons! Hey everyone! We’ve made it halfway through the week! Today I’m going to show you one of the two polishes from the Summer 2015 MAC Wash ‘n Dry Collection. And an oldie from the Party Rocks Holiday 2012 Collection Wet n Wild Fast Dry line. This is Washeteria. It’s a fully saturated blue green aqua shade. 1 coat gave great coverage. For the photos I chose to do 2 coats. The formula is good, maybe on the thin side. During application it was hard to clean up the skin around the cuticles. Upon removal, it didn’t stain my nails, but the skin again was harder to get clean and took a bit of scrubbing. It’s a beautiful color though. I put Wet N Wild Fast Dry in Happy Holidaze! as an accent. 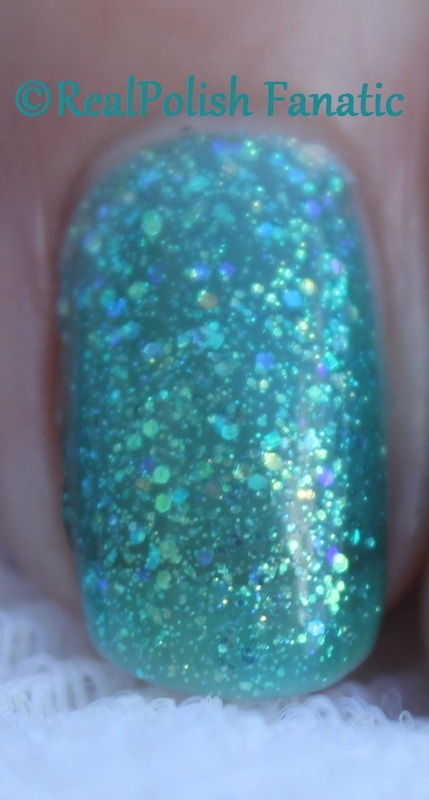 This is a light aqua jelly base with blue, gold and green shimmer and small glitter. Love this one! I could have layered it, but I put 3 coats on their own. I still had visible nail line, but that doesn’t bother me and it wasn’t really noticeable indoors. These two polishes coordinated very nicely. MAC Washeteria & Wet n Wild Happy Holidaze! Wet n Wild Happy Holidaze! I knew MAC Washeteria looked familiar. Some day I will have all my swatch sticks done so that doing comparisons in posts will be easier. For now, I have to try to think about similar polishes in my huge stash. So I found three polishes that are pretty close, but no dupes here. You will see OPI Amazon…Amazoff is the closest but a touch too dark. If you have something you want to see compared, let me know in the comments. If I have it, I’ll be happy to post it! Here are a couple swatch stick comparisons. 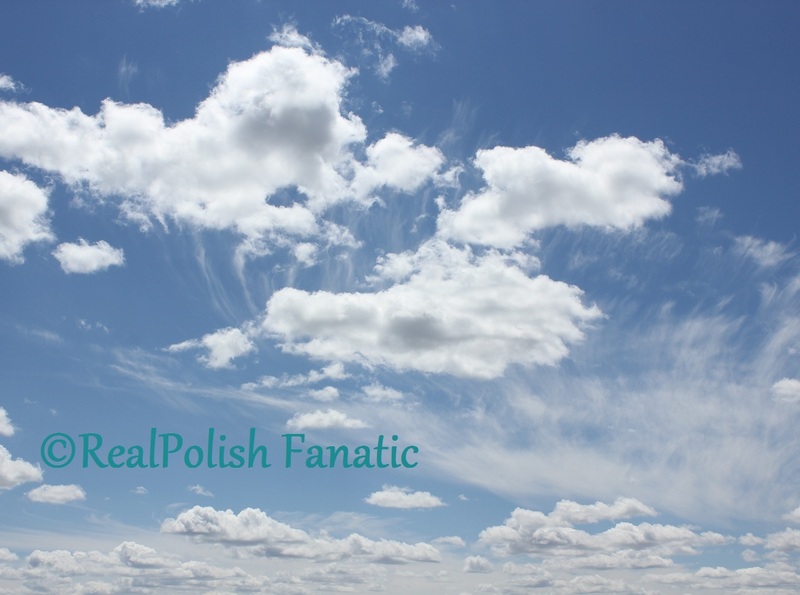 And I will leave you today with a peaceful cloud picture. The polish in this post are from my own collection and were purchased by me.